This hard back book details the tales of tough political fights, of triumphs and more than a few disasters, but most of all it is about the people and the clubs which made BASC what it is today. 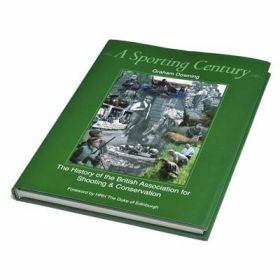 The author has recorded the memories of some of WAGBI's surviving stalwarts and gained unrivalled access to the surviving records and minute books to tell a no-holds-barred story about the background to Britain's premier shooting association, celebrating its 100th year in 2008. A perfect gift for those who love their history of the shooting industry. A must for any shooting bookcase.